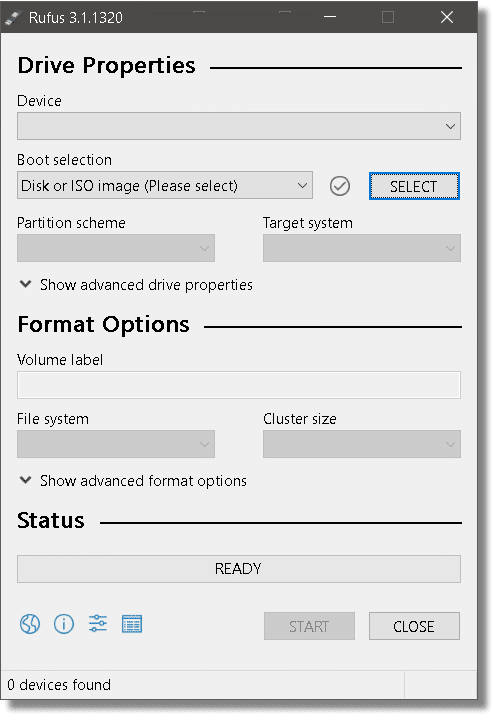 How Do I Create a Bootable USB Thumb Drive from an ISO? - Ask Leo! If you don't have a CD or DVD drive, you may be able to turn that ISO image into a bootable USB thumb drive. ISO files are disk images often used to distribute software. In years past, we burned them to CDs. As the ISOs themselves became larger, we’d burn them to DVDs instead. In either case, we would then boot from the CD or DVD to run whatever the software provided. A good example might be operating system installation DVDs. More and more machines are coming without optical drives — that is, they don’t have the ability to read a CD or DVD, much less boot from it. Fortunately, there are tools we can use to take an ISO that contains a bootable image and place it on a USB thumb drive from which you can boot. There are actually several tools, but one I’ve run across that seems to do the job simply and well is called Rufus. Download and run Rufus directly from the Rufus website. Under “Device”, select the USB thumb drive you want used. If none appear, make sure you’ve inserted one and Windows recognizes its presence. Under “Boot selection”, use the Select button to locate the .iso file you want to copy to this USB thumb drive. 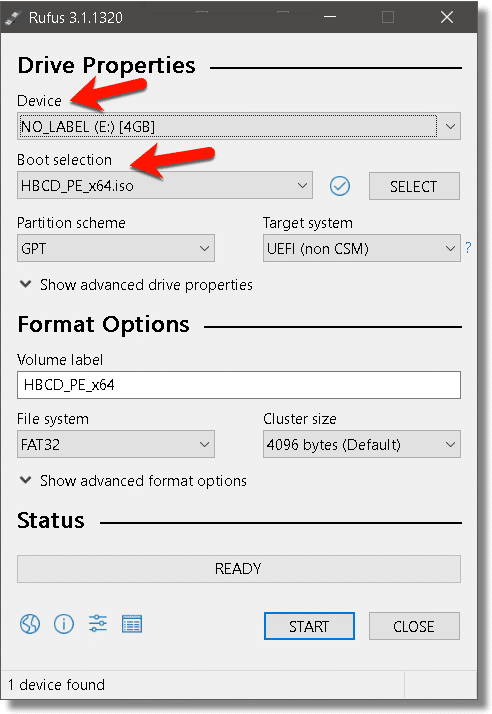 In the example below, I’ve inserted an unlabeled USB thumb drive that appears as “E:”, and I’ve selected the file HBCD_PE_x64.iso (the most recent Hiren’s Boot CD), that I’d downloaded previously. That’s all I needed to do. Click Start to begin the process. This operation erases everything that’s currently on the USB flash drive and replaces it with the contents of the ISO. Make sure that’s what you want to do and click OK. Exactly how long this takes will vary depending on the size of the ISO you’re writing, the speed of your hard disk, the speed of your flash drive, and whether you’re using a USB 2 or 3 interface. After all is said and done, you have a bootable USB flash drive. 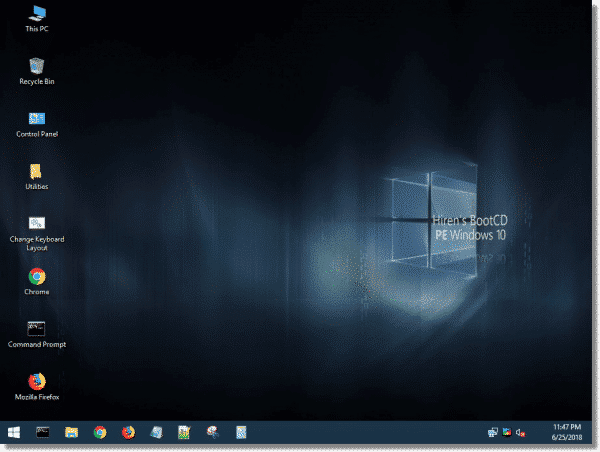 Create a Windows 10 Recovery Drive - A Windows 10 Recovery Drive can be used to restore Windows backups to your machine, and more. I'll show you how to create one. How Do I Fix “Invalid System Disk” Error? - An "invalid system disk" error has several possible causes. Two of them will make you hope you backed up recently. What Are ISO files, and How Do I Open Them? - ISO files are a common disk image distribution format. We'll look at the best ways to open ISO files, as well as a couple of ways to create them. How Do I Create a New Machine Image? - When you get a new machine, creating a new machine image backup as soon as you can is a convenient way to reinstall should you ever need to. « Previous post: Can My ISP See What I’m Doing If I Use a Virtual Machine (VM)? An excellent little utility. I’ve used it for years with great success..
Never heard of it before, but glad I do now! I have had excellent results with pendrivelinux. Leo strikes again: right on point! Just what I’ve been looking for. Hence: Thank you Leo. That’s much better than a beer. That way you both get something. You did not mention it the article but don’t you first have to check the BIOS to ensure that the USB drive is earlier in the sequence than the hard disk, so that the system will boot from your USB drive before booting from the internal hard drive? Changes to BIOS are often required, indeed. But that’s machine-specific in most cases. Exactly how large should the thumb drive be? 32Gig, 64Gig or larger? In most cases, even 4 GB would fit. 8 GB should be enough for almost all cases. You can be sure by checking the size of the .iso file. Depends on the ISO you’re attempting to burn. A little larger than the ISO, at least.